Strand Woven Bamboo Brown Multi-purpose Reducer is used to transition floors of unequal height from wood/laminate floors to carpet, vinyl or tile. This molding will provide a seamless look when transitioning between flooring surfaces. Coordinates with hardwood floor providing a beautiful finished look to any room in your home. Buy online Zamma Strand Woven Bamboo Brown 3/8 in. Thick x 1-3/4 in. Wide x 94 in. 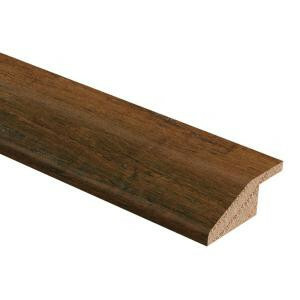 Length Hardwood Multi-Purpose Reducer Molding 014382062586, leave review and share Your friends.